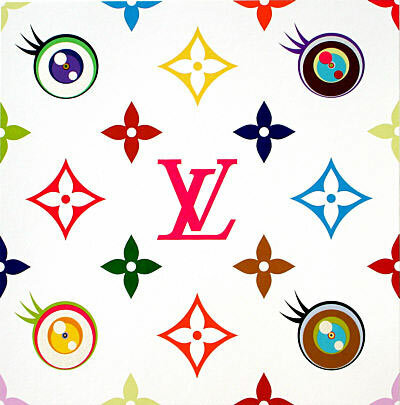 BROOKLYN—The Brooklyn Museum will house a fully operational Louis Vuitton store “within and as part of” “© MURAKAMI,” a retrospective of work by the Japanese artist Takashi Murakami, on view from April 5 through July 13, 2008, the museum has announced. The store will offer a selection of Vuitton’s Monogram Multicolor bags and small leather goods as well as “Editioned Canvasses” of the Monogramouflage design created jointly by Murakami and Louis Vuitton artistic director Marc Jacobs, with whom the artist has collaborated since 2003. The pattern heralds a new product line that will be launched at the Brooklyn Museum Louis Vuitton store on June 1 and then sold in selected Louis Vuitton stores worldwide. Perhaps to blunt some of criticism, Vuitton has announced plans to donate a portion of the revenues generated at the store on the evening of the exhibition’s gala to the Federal Enforcement Homeland Security Foundation. The Brooklyn Museum has also announced that Vuitton is underwritting the store’s construction and is responsible for its staffing and operation.